Meet one of the newest loves of my life. . . this avocado dip. Have you ever tasted something and after the first bite wondered where it’s been all your life? That’s how I felt the first time I tried tasted this. Holy moly this stuff is good. I could devour an entire bowl of it all my little self. My cute friend Pat brought this to a party one night and I think I ate half the bowl. At one point I wasn’t even using chips to dip in it, I just dug in with a fork. Pat brought Doritos to dip into this instead of regular tortilla chips and let me just say Doritos + avocado dip = total yum! I’ve made this many, many times since getting the recipe from her and it’s been a hit with everyone who tries it. I made it one weekend when we were up at my parent’s cabin and I think it was gone in about 39.8 seconds. My dad was all but licking the bowl and we were all wishing I’d made a double batch. 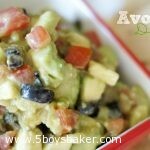 If you love avocados, please, please make this, you will be so happy you did. Combine all ingredients in a bowl and toss gently. OH la la–this looks divine!! 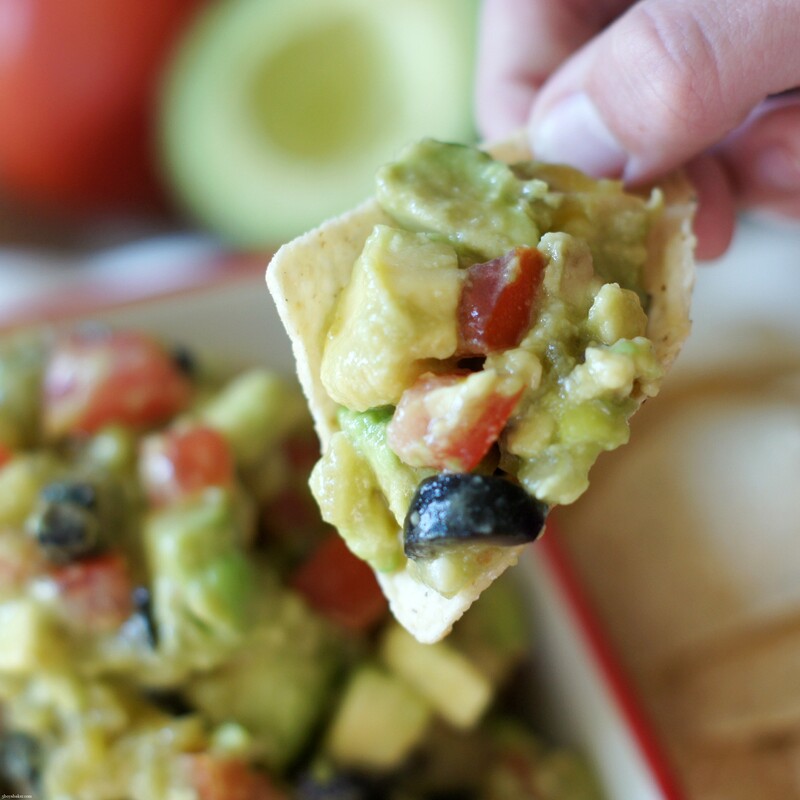 I think my favorite snack is chips and salsa and avocado just takes it up a huge notch!! YUM!! You’ve got to try this, you will be hooked! Aren’t avocados the best? I can’t believe I used to hate them.